I'm ready to delve back into the book again, and thought a good way to segue into that after the big Drama post would be to discuss dogs chasing in the lanes. Let's discuss the various ways people proof against chasing so we can learn from each other. Control Unleashed-type drills that help desensitize dogs to motion and other dogs: includes use of ring gating, people standing in between lanes as "catchers," etc. I know nobody likes to talk about stuff like e-collars, but people do use them. Maybe they wouldn't use them if they knew of a more positive way that was effective. A dog that chases other dogs is one of my biggest pet peeves because it negatively affects other dogs and handlers. Chasers tend to stress out everybody – you never know what they might do to the dog they are chasing, or how that other dog might react to them. Even if the chasers mean no harm and are only “visiting” they’re still a safety hazard because they’re usually getting in the way somehow. Chasing is self-rewarding, so you need to make other activities, like playing with you, even more rewarding. In some ways, it’s great that your dog is so interested in the other lane – it means he’s aware of who he’s racing against and whether or not they’re beating him. Competitive dogs like this often make spectacular start dogs or anchor dogs. They will be the ones constantly glancing over to the other lane with that “Bring it!” look on their face, the ones who will try harder than anybody else to win. There are lots of different ways to refocus a chaser. My Border Collie Kraken was a pretty bad herder, so the first thing we did was put a line of ring gating between the lanes in practice so he couldn’t cross over. Then I worked on small pieces of the game with him (like close-up box work or recalls) while there was a dog running in the other lane. I made sure the dog in the other lane was pretty laid back, I didn’t want Kraken working next to any amped-up speed demons yet. As his handler, I also worked really hard on being as exciting as I could be. Any time Kraken started to head over towards the other lane, I would call his name very excitedly, smack the tug on the floor to tease him, then run away from him a little bit, which usually was enough to pull his attention back over to me. I tugged with him a lot at home, too, to build up his tug drive. After a while he was able to stay focused on me (or at least run right back to me when I called him), so we took the gates down and continued to desensitize him to motion and other dogs by the box and in the runback areas. I would stand about ten feet away from the box and play tug with Kraken while another dog raced. It’s hard to do this with intensity for more than a couple of minutes – once your dog gets a little bored, his attention will shift right back over to the other dog. So we practiced this drill in short bursts. I would also stand in the runback area and play tug with Kraken while another dog was doing full runs. Then we would switch places and let Kraken do full runs while another dog was tugging with somebody down near his box or in the runback area. He was very distracted at first (there were a lot of dropped balls!) and I had to work to stay upbeat and positive. I asked my teammates to step in whenever necessary to keep him away from another dog or to act like a human wall. It was my goal to always be the happy person with the tug that he wanted to come back to – I didn’t want to be the one correcting him for anything. When I went to tournaments I would also tug with Kraken on the sidelines while racing was going on. He really wanted to bark at the other dogs and lunge around on his leash, so initially it was a lot of work getting him to play with the tug – lots of ridiculous-looking happy-voiced hopping around on my part – and when he did tug he’d do it with a vengeance, almost like he was taking his frustration out on the tug. Eventually he became a crazy sidelines tugger and stopped paying attention to what was going on around him. That’s when I knew he was ready to go into the ring. Next we did tournament warm-ups. We started out with restrained recalls. Once Kraken was doing solid focused recalls, I brought him down to the box for jump-box-jump drills, then eventually full runs (this was over the course of several tournaments). He often looked around wildly at the other side but he would not cross over. Eventually we felt comfortable enough letting him run in anchor position (last). I would hold him up until I could tell that he was focused on the ball/box and was going to run down there when I let him go. Next we’ll work on tightening up his passes. Kraken is not an aggressive chaser, he’s just an extremely herdy Border Collie. If your dog is chasing other dogs in a scary way, you really need to work for a long time on correcting this behavior. Don’t put other dogs at risk (no game is worth that). You may need to seek out help from an experienced behaviorist or trainer. When you’re working with a dog who has multiple issues, work on fixing one thing at a time, then build on each skill. Don’t try to train or change too many behaviors at once. I should add that Kraken, at age 4, is still not racing full-time. Mostly because we haven't practiced much lately and I just don't feel comfortable running him in a tournament situation without a lot more practice running head to head against other dogs. He just went through a 7-week Control Unleashed class and it was AWESOME, if any of you are lucky enough to have access to one of those nearby. I can see a big difference in him. After hearing about the mess in Region 1 and seeing the huge interest in that situation and its outcome, I think I need to write more in the book about chasing in general, and also about when people think it's appropriate to race a dog (or put it in warmups) and when more practice is needed. So weigh in, folks. What's your favorite method to deter a chaser? When do you think a dog is ready to warmup or race? Not all "chasers" can be broke of the habit. I have a mini-aussie that is just AWESOME on the course. She has been clocked a 4.08 in U-FLI singles BUT, she is an incorrigible crossing dog in the runback! She always takes all four jumps. She keeps the ball in her mouth. ...but, if she wins the heat, she will likely run over to the dog she just beat and wave her ball in their face and growl like "c'mon chase me! I'll beat you again!" She doesn't want to come to me cuz just being loose is "self-rewarding". I can get 2-3 successful runs and then she decides to up the ante. So, we end the fun for that weekend and put her away. We've tried everything you've outlined above. She does it RIGHT enough times that I won't give up training her! She plays very well if the other dog BEATS her. ...but, what good is THAT in a game where the focus is for WINNING, not losing? Generally I find chasing issues are best worked out over the flat, rather than jumps. It is safer for all dogs involved. Once chasing is not a problem at all on the flat, then move to jumps, etc. At no point are gates helpful. They are a crutch that make it harder, not easier, to get a dog used to working with a dog in the other lane. A dog's first introduction to flyball training should be recalls over the flat, with other dogs in the other lane (standing, walking, running, or whatever the green dog can handle). From the very beginning, there should ALWAYS be another dog in the other lane. Training in isolation is just asking for a chasing issue later. A dog with chasing issues should be pulled out of racing and worked with over the flat until it is no longer an issue, then slowly worked back up to racing. This is the step most people don't want to do, so their dog continues to chase. A dog known to be dog aggressive would require a bit different approach, since obviously the risks run much higher in that case. To sum up my opinion of training for no chasing issues: No gates, ever. Work recalls over the flat first, and if any chasing issues arise later in training, go back to working over the flat, and then slowly up the ante from there. This is what I decided for our club. We are not one of those ultra fast clubs as you know so our expectations may not be as high as some of the other clubs. Below is what we created so we are on the same page within the club. When is my dog ready to do warm-ups in a tournament? For chasing it really depends on why the dogs is chasing. You have high prey drive, herdy types, aggression, just want to play, etc... We sometimes train with gating and sometimes without. We always try to have dogs on the other lane(s) doing stuff when working with DITs (Dogs in Training). We usually will have people who are quick on their feet in between the lanes to stop any chasing if we aren't using gating. We also do this in the runback area since some dogs are more likely to cross back there (yes borderjack was one of those but not chasing dogs, chasing loose balls). I agree with one of the comments above; how to deter or fix chasing depends on the dog and the reason. A huge thing is finding the proper (i.e., the very best) motivation and creating or reinforcing a solid handler/dog bond. 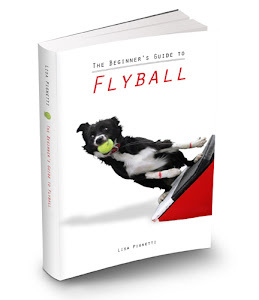 Some new folks need extra help understanding this piece of flyball. Two of my dogs I trained them with no distractions until they were confident running the whole course alone. Neither of them have crossed in tourneys and have been running for 10 years. With another 2 of my dogs, I trained with distractions from the get-go. These 2 dogs both had mild chasing problems but for vastly different reasons. And, for each of them, the 'fix' has been different. I think it also depends on the club and the training philosophy. I've been in clubs that allow crossing over and over and don't make changes. They don't try new methods and they just keep 'testing' the dog and letting it fail over & over. I don't like this method and prefer to set the dog up for success by trying different approaches. We once tried a rope layed on the ground along side the entire lane. It was also attached to a stake at the box end. The rope-person layed on the ground at the start/finish end and raised up the rope just at the time the dog veered out of its lane...the dog never saw the rope, but when his side touched it, it was enough to deter him so that he came back into his own lane. It didn't work for all dogs, but it was an interesting trial. In general, I prefer no gating or people forming a chain in the middle. One person who is quick on their feet and knows proper timing seems to work better in my experiences. From what I've experienced and read, heard or watched, for training a puppy from the beginning, I'd like to try on the flat with distractions (as described in a previous comment). I don't know if it works the same with an older dog or not but I'd be willing to try it with my next dog. For now, when I help new folks train or teach a class, I recommend no distractions until their dog is confident running the course alone. Then I put a stationary dog/handler in it's lane as if it was going to do a pass, then progress to large passes and finally tightening up passes based on the dog's progress or issues if any. I'd also do some separate training with a dog in the other lane both directions to and from the box. And eventually combine both exercises...passing in its own lane along with a dog in the other lane. I don't really have an idea on stopping crossing dogs as that's rarely been a problem with my club's dogs. The few times it occurred, it was mainly an issue with the dog being too green and nothing more needed be done but step back and practice more to fix it. However, we currently have a dog on the roster with a strong herding drive and chases as a result. I've eagerly taken some advice here and we seem to be making progress. She's a whole better than she was three months ago. As to the question of when to put a dog in a tournament, I am overly cautious. Most of the club dogs don't race before a year of practice, at the least. There have been a few exceptions. I would rather be 99% positive the dogs aren't going to cross before risking injury or expulsion to either the club dog or any team we race against. We don't use gating or a chain of people during training and we always introduce distractions early on and up them as it is appropriate. Better to not use crutches than to have to go back and train again, without them. My fervent wish would be for others to be just as careful. Too many times, my club's dogs are sitting ducks to other team's crossing dogs. A pain, to say the least. The few times it occurred, it was mainly an issue with the dog being too green and nothing more needed be done but step back and practice more to fix it. too many times, my club's dogs are sitting ducks to other team's crossing dogs. A pain, to say the least. In my club's beginner's classes we do a LOT of focus works and games in addition to flyball skills. By the end of the 4 week session, the dogs are expected to maintain eye-contact with their handlers while the trainers run around whistling, screaming, smacking tugs, and loose dogs are playing fetch, etc. It's really helped our newer dogs progress to handling distractions at a tournament much faster with fewer chase issues. We're not one of the fastest clubs around, but we run steady reliable teams with few faults.